Dog training using successive approximations, commonly called shaping, is my favorite way to teach dogs a new behavior. This training method was pioneered by B.F. Skinner, and it’s one of the go-to ways for training animals today. When I worked at Denver Dumb Friends League, shaping was our main method for training dogs that couldn’t be removed from their kennels. Quarantined dogs, aggressive dogs, and fearful dogs were worked through “protected contact” and there was no way to lure them into a behavior! But you can also use shaping to teach your dogs all sorts of behaviors, from getting your slippers to walking nicely on a leash. Learn a bit more about the difference between shaping, luring, and capturing below. When shaping a behavior, your goal isn’t to get the complete behavior right away – you’re just rewarding your dog for getting a bit closer to the goal behavior. Let’s use the example of teaching a dog to go lie down. In this article, I will say “click and treat” or “mark and reward” a lot. All this means is that you should make a consistent sound (a clicker makes that easy) and then toss your dog a treat. Stepping further towards the bed. Sitting on the bed with a lowered head. Lying on the bed for longer.. And longer… and longer. Set the Scene. Set up a relatively sterile training environment with just you, your dog, some treats, and the bed. This is important – you want to make the target behavior relatively obvious to your dog! Reward Small Approximations. Now it’s time to put your plan to use. Bring your dog into the area and wait. Don’t prompt, talk, or move around much. Click and treat for each small approximation of the behavior. Add Small Steps Quickly. One of the tricky things about shaping successive approximations is that you can’t stay at each tiny step for too long or go too quickly. If you progress too quickly, your dog will get stuck. But if you spend too long perfecting a specific step, your dog will start thinking that that step is goal behavior – so keep moving! It’s ok to have to go backwards. Tip: Move on after your dog is getting the current step correct about four to six times in a row. Jackpot Excellent Responses. Give a few extra treats and some verbal praise (if your dog is into that sort of thing) when your dog gives an extra-awesome response. 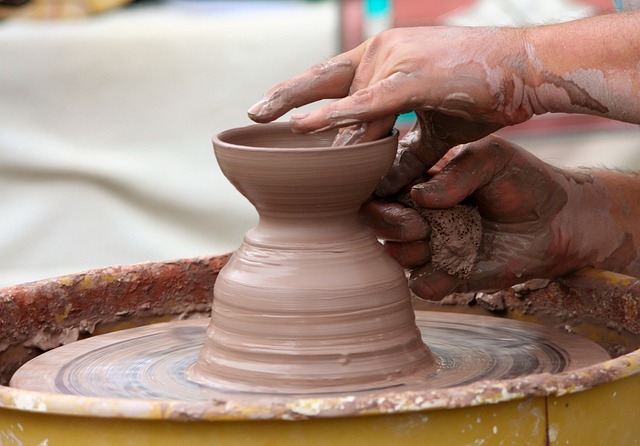 Remember – there are no wrong answers in shaping. Don’t scold incorrect responses! Keep it Short. My shaping sessions are usually less than 10 minutes long. Here’s an example of Barley’s first shaping session where I’m teaching him to rest his chin on a piece of cloth. My ultimate goal is to have him put his chin on my shoulder for some cute photos – but we’re starting here! You’re unlikely to get a complete behavior right away. Shaping lets you deal with that hurdle seamlessly! You can train without touching the animal. This is great for shy dogs or aggressive dogs. It’s also great for training parrots and cats, who often don’t like being manhandled. Shaping teaches the dog to think and act independently. In shaping, you’re not cuing the dog – the dog is guessing. It’s like playing the Hot-Cold Game (you’re getting warmer… warmer… colder… warmer… HOT). This helps your dog learn to offer behaviors rather than waiting for cues. My dog often makes the right choice on his own now, because he’s used to offering up good guesses! You can fine-tune behaviors by breaking them down to smaller and smaller parts. Shaping also allows you to start picking only the best behaviors for rewards. Want a straighter sit or a faster down? Shape it by just rewarding the best versions of your target behavior! Each small step seems easy! Training in big chunks is frustrating for the learner. Good shaping by successive approximations feels pretty easy, because the dog is getting it right so often. Gives shy dogs courage. Free shaping (where any and all movement gets rewarded) is my go-to way to build confidence in super-shy dogs. When dogs learn that their behavior can make us give them food, they start doing more! Excellent mental exercise. Shaping is hard work – it’s probably kind of like solving a math problem! With smart dogs, shaping is a great way to tire out your dog without leaving the house. So what are you waiting for? Get out there and start shaping!